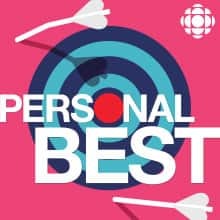 A self-improvement show that helps you be your best you. As best we can. Given the constraints. For more, follow the show on Twitter and CBC Podcasts on Facebook. We have an update about new episodes, a surprise and a preview of a new CBC podcast called Tai Asks Why. In our final episode of the season, Julia (different Julia than before) is a messy eater. But instead of a problem with table manners, she's convinced it's something else. Something that goes all the way back to ancient Buddhist teachings. Two stories. Oriana can't lie and it's hurting those close to her. Also, Kevin wants to make his grandma laugh. Yaw loved action movies as kid. As an adult, Yaw wants to land a backflip. Two stories. Michael is a musician who goes by the stage name Non-Swimmer. To no one's surprise, he can't swim. Also, Toula hates cancelling plans. Julia struggles flirting over text messages and it's hampering her love life. But it's not just dating - she struggles with all text messages. Is it possible to communicate your authentic self via text, or are you doomed to prop up a performative husk dancing on a touch screen forever? Two stories. It's tragic when you can't communicate to those closest to you. For Manu, it's his local cashier. Also, Jan is overwhelmed by menu options. Brent is a punk musician, radio announcer and an all-around fun guy who is completely unable to celebrate himself. His only hope might be a man with a keytar. Robin is a chronic snoozer. She's constantly late for work, sleeping in for upwards of two hours. She's also been keeping an elaborate secret since high school.